Sony's A6300 is a mid-range mirrorless with an AF system that's the envy of pro cameras costing up to twice the price. It takes the earlier A6000 - no slouch for action photography - and upgrades the weather-sealing and viewfinder, adds 4k video, 1080 at 120p for slow motion and a microphone input, while greatly improving the autofocus with a dense array of phase-detect points covering almost the entire sensor area and making it more useful with a live update between frames when shooting bursts. The controls and kit zoom need improving, but for shooting sports and action it's one of the best options around. Check prices on the Sony Alpha A6300 at Amazon, B&H, Adorama, or Wex. Alternatively get yourself a copy of my In Camera book or treat me to a coffee! Thanks! The Sony Alpha A6300 is a mid-range mirrorless camera with a 24 Megapixel APSC sensor, 4k video and a powerful AF system that’s ideal for capturing action. Announced in February 2016 it comes two years after the best-selling Alpha A6000 and becomes Sony’s top-of-the-range APSC mirrorless camera. Note Sony skipped the model numbers in-between, so the A6300 is the successor to the A6000. Externally the new A6300 looks a great deal like the A6000 before it. Both share essentially the same bodies and virtually identical control layouts. As such you get a flat-topped body with a built-in viewfinder, popup flash and hotshoe, a tilting screen, two control dials and nine custom buttons. The only physical differences are improved dust and moisture resistance, the addition of a microphone input and a lever which switches the AE lock to focus lock. Internally, the viewfinder enjoys an upgrade from 1.4 million dot / SVGA / 800×600 to 2.4 million dot / XGA / 1024×768 resolution, but Sony’s resisted fitting touch-capabilities to the screen. The sensor remains 24 Megapixels but now boasts 425 embedded phase-detect AF points which cover virtually the entire frame, a denser array than the 179 points of the A6000. The maximum burst speed remains 11fps, but a new 8fps option provides live feedback and minimal blackout for a DSLR-like experience. Completing the specification is 4k video up to 30p and 1080 video up to 120p with optional Picture Profiles for subsequent grading. In this review I’ll take an in-depth look at the A6300 and in particular how its new autofocus and movie capabilities compare to its predecessor and the competition. Following my review I also took the A6300 to the 2016 Tour de France and you can find out how it performed in my Shooting the Tour de France 2016 article! Before kicking-off with my in-depth review, I’d like to start by discussing my general shooting experience with the A6300 in a video interview with Doug Kaye for All About the Gear; if you enjoy this format, check out our regular podcasts about a different new camera every episode – and don’t forget if you enjoy my work, you can support me by buying me a coffee, cheers! After the video, scroll down for my in-depth review. Externally the Sony A6300 is almost indistinguishable from its predecessor, the A6000. So it shares the same compact, flat-topped body shape, the same grip and the same controls. There are a couple of physical differences though, one of them very important: thanks to updated joins in the body, the A6300 now enjoys sealing against dust and moisture, a significant upgrade over the A6000. I didn’t get a chance to use the A6300 in inclement weather, but I did shoot close to the sea and watersports where spray was abundant without issue. Sony describes it as now enjoying similar sealing to the A7 series. Ergonomically though the A6300 is unchanged from the A6000 and feels the same in your hands. The grip is a decent size for the body and it’s easy to hold it comfortably and securely. 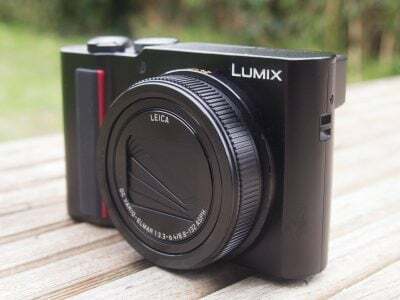 For the record, the body measures 120x70x49mm and weighs 404g with battery, making it shorter than most cameras which feature a built-in viewfinder, although like its predecessor this has necessitated the use of a shorter 16:9-shaped screen, more of which later. The A6300’s controls are identical to the A6000 other than an update of the AE lock button which, like the A7 series, now features a collar switch to choose whether the button locks the exposure or the focus. Looking really closely the mode dial now has a finer texture around it, and if you peer behind the port flap you’ll now find a socket for an external microphone, again more of which later, but really those are the only differences. Sony says the shutter release is different, but even with both models side by side I couldn’t tell any difference. As such the A6300 inherits the twin control dials of the A6000, both operated by thumb: one in the upper right corner and the other a flat wheel on the rear which also tilts to provide four-way navigation. Controls are always a personal thing, but I was never a fan of those on the A6000, which means my opinion remains unchanged here. In my view the A6300 really needs an additional front-mounted dial that’s operated by your index finger, like the A7 series, but I’d go a step further and say these control dials need to be larger with chunkier and more tactile clicks as they turn. Companies like Olympus, Canon and Nikon do this best in my opinion and adopting a similar approach would transform the day-to-day operation of the A6300. My other major complaint of the A6000 is also inherited here: the A6300 uses the same 16:9 shaped 3in screen which is not touch-sensitive and only tilts vertically. I have several issues with this. First it’s not touch-sensitive which means repositioning an AF area for stills or pulling focus in movies is unnecessarily long-winded with multiple button-presses; having a touch panel or even an AF joystick would solve this. Secondly the 16:9 shape, employed to accommodate the viewfinder above it on the short flat-topped body, may be great when shooting widescreen movies, but displays narrower 3:2 shaped photos with black bars running down the left and right sides, resulting in a noticeably smaller image than the competition. Third, by only tilting up by 90 degrees and down by about 45, the A6300’s screen articulation won’t help you compose in the portrait orientation at high or low angles, nor will it turn to face the subject for selfies or filming pieces to camera. So immediately the A6300 is ruled-out for vloggers, which is a criminal shame since the movie quality and AF system works so well. Fourth, the screen brightness is dim by default and like the A6000 I had to select the Sunny Weather option immediately for use outdoors which consumes the battery more quickly. Annoyingly though this option becomes unavailable when shooting 4k video, presumably to avoid over-heating, but this in turn means filming 4k with the screen becomes hard outdoors as you can barely see the image. I’ve spoken to Sony about my concerns on several occasions and understand there’s some cultural resistance to touchscreens and full articulation with a perception in some markets that they’re not professional. In my experience, those who don’t like touchscreens on cameras generally haven’t used them. Those who have used them rarely want to go back to a camera without, and besides, you can always turn off the feature if you hate it. And in terms of being professional, both Canon and Nikon’s flagship professional DSLRs now feature touch-screens. The fact is, I don’t think the availability of touch controls and full articulation would put anyone off buying a camera, but not having them would certainly eliminate it for some photographers. As someone who often repositions the AF area, shoots in the portrait orientation and films pieces to camera, I simply find the day-to-day operation and composition on models like the Lumix G7 and OMD EM5 Mark II far superior to the A6300. Again I know there’ll be those who disagree, but for me the limitations of the screen on the A6300 are its biggest failings, and coupled with the same control dials as before represent a missed opportunity to take on and beat rival models. Moving onto the viewfinder I am at least pleased to report Sony has swapped the SVGA / 800×600 panel of the A6000 for an XGA / 1024×768 panel on the A6300 and as an OLED, the image is bright, colourful and steady. When shooting side-by-side with the A6000, the difference is noticeable with details that were previously fuzzy or shimmering with moire now resolved clearly on the new model. This really helps with the illusion you’re looking at a real and not an electronic view, and I should add that menu text and overlays look smoother too. This is good news and an important upgrade, but it’s equally important to remember Sony is playing catchup here as most rivals have sported XGA viewfinders for some time; and lest we forget, the NEX-7 prior to the A6000 also had one, so Sony’s really only correcting a naughty omission on the A6000 and bringing it back in line with the competition rather than taking a lead. At this point I should mention the presence of a dual-axis leveling gauge on the A6300, another welcome upgrade over the A6000, but again something that’s available on most of the competition not to mention the earlier NEX-7. It’s a similar story on the ports. As before there’s a Micro USB for output and charging and a Type-D Micro HDMI port, but they’re now joined by a 3.5mm microphone input. Hurrah! Another important upgrade over the A6000, but again one that was present on the earlier NEX-7 along with most rival cameras at this price point. So several of the upgrades on the A6300 – the viewfinder panel, dual-axis gauge and mic input – are simply reinstating what should never have been removed on the A6000. It’s a shame Sony didn’t take the opportunity to also squeeze a headphone jack in there which could have better differentiated it from most of its rivals. As before the A6300 is equipped with Wifi and NFC and I’ll detail these wireless capabilities later. The A6300 is powered by the same NP-FW50 Lithium Ion pack that’s common across the Alpha mirrorless series. Sony quotes it being good for around 350 shots with the viewfinder or 400 with the screen under CIPA conditions, but remember if you’re brightening the screen for use outdoors, filming video or exploiting Wifi, you should expect it to deplete more quickly. That said, I managed to record an hour’s worth of 4k video on a full charge. Like other Sony cameras, the A6300 charges its battery internally over USB, and like recent models you can also power the camera over USB too while shooting which is great when doing an extended timelapse or lots of filming. I know some photographers prefer external AC chargers, but I love internal USB charging as you can top-up anywhere you can find a USB port – such as a laptop, portable battery, a vehicle port, or any number of AC-USB adapters which may be around. No need to carry around a proprietary external charger with you nor find an AC outlet to plug it in. I frequently top-up my Sony cameras between shooting locations by simply connecting them to a portable battery in my bag or a USB port in my car – once you’ve worked like this, you don’t want to be tied to AC. Finally, like its predecessor, the A6300 features a small popup flash (Guide Number 6 at 100 ISO) along with a hotshoe supplemented by electronic contacts to support Sony’s Multi Interface Shoe accessories – these include an adapter for XLR microphones. The Sony A6300 is equipped with an E-mount which, with the camera’s APSC sized sensor, applies a 1.5x field reduction to all lenses. At the time of writing Sony offered 15 native E-mount lenses (nine zooms and six primes) with focal lengths between 10 and 210mm (15 and 315mm equivalent); note three of the 15 lenses are variations of the popular 18-200mm range though. In addition you can mount any of the growing number of full-frame FE lenses without an adapter, although again with the 1.5x crop factor. Eagle-eyed Sony followers will note the number of E-mount lenses designed exclusively for the APSC format has not changed since the launch of the A6000 two years ago. The company has instead concentrated on releasing lenses for its full-frame FE mount, which again are compatible with the cropped models, albeit with the 1.5x field-reduction mentioned earlier. 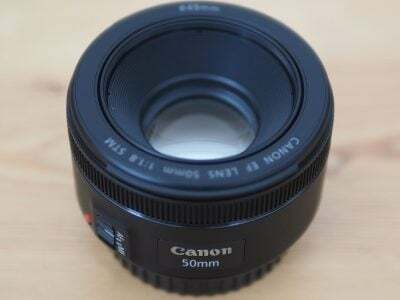 On the surface this seems a sensible strategy since the original 15 E-mount lenses cover most bases, while the newer FE lenses are compatible, high quality and provide an upgrade path to full-frame if desired. The only problem for me lies with the general-purpose E-mount zooms that take you from wide to short telephoto. The 16-50mm Power Zoom, typically bundled with most of Sony’s APSC bodies, was designed for compact size over quality and becomes quite soft and distorted at the wide-end. The more expensive Zeiss 16-70mm f4 should present a premium alternative, but again disappoints at the wide-end for the asking price. If Sony is pitching the A6300 as a high-end APSC camera, I think it needs an equally high-end general-purpose zoom to go with it. Perhaps a new 16-50mm with a weather-sealed body and constant f2.8 aperture, or a Mark II version of the 16-70mm f4 which performs as well as you’d hope it would. As it stands though, there’s no premium general-purpose zoom for the A6300 that really does the camera justice. Instead for the best quality you’ll be coupling it with other options, such as the 10-18mm f4 OSS to cover the wide range, and either a selection of primes or one of the full-frame zooms for longer reach. As an existing owner of the A6000, I’m always happy when shooting sports and action with the excellent FE 70-200mm f4, but feel compromised when I fit the 16-50mm Power Zoom for general-purpose use. I should also add since Sony built stabilisation into the Mark II A7 bodies, there was the hope it would also do so for an A6000 successor. But with the same body as the A6000, the A6300 misses out on such a feature, so to iron-out any wobbles, you’ll still need optically-stabilised lenses. At least there’s a good selection of optically stabilised native lenses though, including 35mm and 50mm primes. Finally, the A6300 works well with many adapted lenses from other formats, particularly Canon’s recent EF lenses via the Metabones Smart Adapter IV. Sony’s own range of A-mount lenses also enjoy full support from the embedded phase-detect AF system via the simple LA-EA3 adapter. The Alpha A6300 mode dial offers the usual PASM modes, along with Auto, SCN, Sweep Panorama, Movie and two Memory Recall positions; the older A6000 had two Auto options and one Memory recall, although you can still access the two Auto modes on the A6300 via menus. You can start filming video in any relevant mode by simply pressing the red record button, but by first putting the camera into the Movie mode, it’ll preview the appropriate composition frame and offer access to the dedicated movie options. Like the A6000 before it, the A6300 offers a mechanical shutter speed range between 1/4000 and 30 seconds with a Bulb option and a fastest flash sync of 1/160. New to the A6300 over its predecessor is a silent shutter option that employs a 100% electronic shutter for truly silent operation, albeit with the usual risk of rolling shutter artefacts. The fastest shutter speed in the silent mode remains 1/4000. A top shutter speed of 1/4000 is a little disappointing for a camera pitched as a high-end model, especially since the AF system is so well-suited to sports and action photography. The Olympus OMD EM5 II has a top mechanical shutter of 1/8000 and most rival mirrorless cameras offer electronic shutters of 1/16000 or even higher. These are also useful when shooting in bright conditions with large aperture lenses, eliminating the need for ND filters. Meanwhile, at the long exposure end, 30 seconds may be average, although I should note Panasonic and Olympus offer 60 second options on most of their models, while Olympus additionally offers a variety of long exposure capabilities which keep the shutter open for up to 30 minutes with a single press and even let you peek at the exposure as it builds and stop it early if necessary. On the upside the optional Touchless Shutter app for the A6300 (along with most app-enabled Sony cameras) exploits the viewfinder sensor to start and end Bulb exposures with a simple wave. Here’s a 30 second exposure with the A6300. In a welcome update over the A6000, the A6300 now lets you set a minimum shutter speed for Auto ISO. So you can choose when the ISO should start to increase. Auto Exposure Bracketing is available on the A6300 for three or five frames at 0.3 to 3EV increments, or in an upgrade over the A6000 in nine frames at 0.3 to 1EV increments. You can set the drive mode to Single or Continuous for any of these bursts. White Balance, DRO and flash bracketing are also available. The A6300’s Picture Effects are greyed-out if you’re shooting RAW or RAW+JPEG, which is daft as it’d be nice to only have the effect applied to a JPEG and keep a RAW as backup. Olympus does this much more sensibly with its ART filters, which are only applied to JPEG files, leaving the RAW file (if enabled) as a backup, and even lets you grab all (or a selected bunch) of the ART filters in one go with ART filter bracketing. The Sweep Panorama mode enjoys its own dedicated position on the mode dial, and selecting it unlocks two options on the first menu page (although why Sony doesn’t let you set things in advance while you’re in other modes remains beyond me). Like previous Sony cameras you can choose between Standard and Wide for the size, and Right, Left, Up or Down for the direction. After that it’s just a case of holding the shutter release button down as you pan the camera in the selected direction, sometimes being told to do it again in case you were too slow or fast. Note unlike Sony’s fixed lens cameras, you can adjust the optical zoom on your lens before shooting a panorama, but be warned the camera becomes fussier about your technique as you zoom-into longer focal lengths. Here’s an example with the 16-70mm zoom at 16mm. Like other Sony cameras, the Sweep Panorama works fairly well and gives the A6300 a fun advantage over many rival system cameras. You often need to refine your technique and I’d recommend taking a couple at each attempt to make sure but it remains a fun and effective way of grabbing panoramic views. Sony’s A6300 boasts one of the most sophisticated autofocus systems of any camera, whether mirrorless or DSLR. It builds upon the already very capable A6000 to deliver the best continuous AF experience of any mirrorless camera and in many situations will out-perform DSLRs costing over twice as much. Coupled with fast continuous shooting and a new drive mode that minimizes viewfinder lag, it’s a dream for sports and action photography. Like the A6000 before it, the A6300 employs a hybrid AF system featuring both contrast-based and phase-detect technologies, the latter embedding points across almost the entire surface of the sensor. Their respective coverage on the frame remains essentially the same as before, but with the A6300 Sony has significantly increased their densities. Where the older A6000 offered 25 contrast-detect areas and 179 embedded phase-detect points, the A6300 now boasts 169 contrast-detect areas and a whopping 425 phase-detect points. The additional contrast-detect areas are concentrated in the middle of the frame within what were previously the nine central areas, but the phase-detect array is simply denser across the entire frame. In practice the A6300 typically uses a coarser array (similar in density to the A6000) to identify the subject before then surrounding it with a smaller frame containing the full density of AF points. Depending on the mode, this small but dense array of AF points then follows the subject around the frame like a swarm of tiny bees. It looks a lot like the A6000, but with much finer squares following the subject and a lot more of them. Like the A6000 you can refine the AF coverage with Wide (which covers the entire frame), Zone (which reduces the area and lets you reposition it) and Flexible Spot (which lets positions a single area using the rocker wheel on the rear). To these the A6300 inherits the newer AF area options of the A7 series, including Expand Flexible Spot (which considers a small area around a single point) and Lock-on AF which tracks a subject based on its shape and colour. Lock-on AF is available with Wide, Zone, Center, Flexible Spot or Expand Flexible Spot. To kick-off you position the active AF area over the subject (or in the case of Wide and Zone, hope that it’s automatically identified), then simply keep the shutter half-pressed for the camera to subsequently track it. Taking portraiture further, the A6300 also features Eye Detection which is now available with continuous AF. It works well, although inexplicably you still can’t deploy it automatically. Instead it’s assigned to a button which must be pressed after the face detection has already identified a person. The AF square around the face is then replaced by a tiny square over the identified eye and you can focus with that instead. That’s fine, but I’d much sooner just enable eye detection in a menu and have the camera do it automatically from then on without having to press additional buttons, as with most rival camera systems. I can’t think of a situation when I’d want face detection but not eye detection, and if I did, I could simply switch eye detection off. As before you can set the camera to Single AF, Continuous AF or a choice of manual focus options. In Single AF, the A6300 employs the phase-detect AF to get close to the point of focus, then finishes the job with a contrast-based feedback loop – just like the A7r II and as such there’s a small amount of hunting at the end of the process but it all takes place quickly and confidently. Sony reckons it now has the fastest AF system, quoting 0.05 seconds, and in my tests it certainly felt very snappy in fair conditions. I wouldn’t say it’s quicker than, say, Olympus or Panasonic’s best-performing mirrorless cameras, but it’s certainly no slower. Sony rates the AF system as operating at light levels down to -1 EV with an f2 lens, which is an improvement over the 0 EV of the A6000, although not as confident in low light as the -2 EV of the A7r Mark II or the -4 EV levels which Panasonic now quotes for its latest mirrorless cameras. In practice there’s little between them in daylight or even dusk, but as soon as you’re shooting at night, whether people at events or especially dim landscapes beyond the reach of the respective AF illuminators, you really begin to notice a difference. To be fair it has to get pretty dark and the subject become distant for the A6300 to struggle, but it does happen before the best of its rivals. In Continuous AF, the A6300 exploits its dense array of phase-detect AF points and improved tracking software to deliver an even better experience than the A6000 before it. This is an impressive feat since the A6000 was already a highly capable camera for shooting action – indeed I bought one with an FE 70-200mm f4 specifically for shooting several stages across two Tour de Frances, and was impressed by the high hit rate it returned. I wrote about my experiences with the A6000 in my Mirrorless Sports Photography article and look forward to trying the A6300 at the 2016 Tour. I tested the new A6300’s continuous AF capabilities under a variety of conditions and with different subjects, including people walking and running along a beach, vehicles approaching or receding, close-range volleyball action and high-speed wakeboarding. I mostly used either the FE 70-200mm f4 or the FE 85mm f1.4 GM, both wide-open in Aperture Priority mode. Here’s a sequence of nine images. In each case, the A6300 did a great job at identifying the subject, covering it with a dense array of AF points, then following it around the frame – the entire frame too, which is a key benefit over the smaller focusing arrays of most mirrorless and especially DSLR cameras. When composing, the experience felt similar to the A6000 – apart from the finer AF squares over the subject – but upon inspecting images later at 100%, I noticed a higher accuracy thanks both to the denser array and the software driving it. This was particularly apparent when the subject featured a logo or writing, as the AF system generally concentrated on this. As mentioned earlier, the face detection also works really well and is ideal for keeping people sharp as they move towards the camera or across the frame. Here’s a shot I took with the A6300 and the FE 85mm f1.4 G-Master lens, wide-open at f1.4. It’s part of a sequence shot at 8fps where the majority were sharp, and only a handful were slightly off. The biggest issues in this situation were the AF system sometimes focusing on the splash more than the rider (see below) and the maximum shutter speed of 1/4000 being too slow to shoot at f1.4 in bright daylight even at 100 ISO unless you’re using an ND filter. Like the A6000, the AF system requires some learning to make the most of it and avoid failures. In the Wide and Zoned areas, both the A6000 and A6300 generally did a good job at identifying the subject and focusing on the closest part of it, but this could sometimes be the road in front of a cyclist or the splash in front of a watersport rider, a breaching whale or something passing through a puddle. The trick then is to reduce the size of the AF area so it can be devoted to the true subject alone and not any of the environment around it. The best option here is to use Expand Flexible Spot (more forgiving than a single area, but still precise) with Lock-on AF to follow the selected subject. Although at other times I found the best approach was to trust the Wide area and let the camera work everything out, which it often did with eerily high success. The key is to relearn, experiment and embrace the new technologies rather than trying to wrangle the camera into working like a previous model you may be familiar with. While I felt I gave the A6300’s AF system a good workout with demanding subjects and long and bright lenses, I intend to retest it in this regard for a future update – primarily at the 2016 Tour de France if I get the chance. I’ve already shot several stages at the 2015 and 2014 Tours with the A6000 and FE 70-200mm f4 lens and look forward to seeing how much better the A6300 may be. I also plan on testing it with birds in flight as they represent a unique challenge for AF systems. Ultimately the AF system of the A6300 is a triumph, out-performing any mirrorless camera to date and taking on more expensive DSLRs at their own game. But that’s not to say the A6300 is superior in every regard. In its favour, it couples the broadest and densest coverage of phase-detect AF in the market with fast focusing, confident tracking and great face and eye detection. But not all phase-detect AF points are equal. High-end DSLRs may offer phase-detect points in the viewfinder that are better sensitive to horizontal and vertical lines, and sometimes diagonal lines too. These so-called cross-type and dual-cross type sensors may allow them to better lock-onto certain subjects, giving them more confident acquisitions. It’s certainly revealing that Sony doesn’t quote its PDAF points as being cross-type, leading me to believe they’re opting for quantity over sophistication. But which approach is best? I think it depends on the subject and your technique. I plan on performing more tests in the future between the A6300 and high-end sports-oriented DSLRs, but for now I’m happy to describe the A6300 as offering better continuous autofocus than anything at its price, or even approaching double the price. Now with the A6300 there’s two high speed shooting modes. The top speed remains the same as the A6000 before it, shooting at 11fps with the usual lack of live update. The second option, new to the A6300, is a slightly slower mode shooting at 8fps, but critically displaying a live image between every frame. In practice this looks a lot like shooting with the optical viewfinder a traditional DSLR – at least in terms of blackout – and allows you to successfully follow a subject as they move around. It’s a simple trick, slowing the system down to provide sufficient time to provide a live image, but it transforms the shooting experience while still matching or exceeding the speed of most DSLRs. The cool thing is you can still use the old 11fps option to shoot subjects approaching or receding predictably like cyclists, but switch to the only slightly slower 8fps mode when the subject is more erratic like a tennis or football player. It opens the A6300 up to many more types of sports and action and should make anyone who’d traditionally opt for a DSLR question their choices. I used it to shoot unpredictable volleyball players and follow fast-moving wakeboarders with a degree of success I’d have struggled with on the A6000, or indeed any mirrorless camera to date. The A6300 can also fire-off decent bursts. Sony quotes up to 47 Fine JPEGs or 21 RAW frames at the top speed of 11fps and to put this to the test I fitted a freshly-formatted UHS-I SD card, set the shutter to 1/500, the sensitivity to 400 ISO and timed a selection of bursts with continuous AF. Set to Large Fine JPEG and the fastest H+ Speed, the A6300 captured 45 images in 3.99 seconds for a rate of 11.2fps, before slowing to about 1fps. Set to H Speed, with the live update, I fired-off 70 shots in 10.2 seconds for a rate of 6.7fps before slowing to about 2fps. In RAW and H+, I managed 23 shots at around 11fps before slowing down. My figures essentially confirm the quoted specifications and while the speed I measured with the live update was a tad slower than 8fps, I still managed almost 7fps on the day which remains very respectable. And remember both of the High Speed modes were tested while continuously auto-focusing. Ultimately the A6300’s AF system may take some learning to get the most from it, especially if you’re coming from a DSLR, and you may still find subjects or situations where a DSLR is more confident. But it’s impossible not to be impressed with what Sony’s done here. In most situations the A6300 focuses with confidence and ease becoming not just the best mirrorless camera for shooting action, but rivalling and in some cases out-performing DSLRs costing twice as much. It really is a game-changer in this regard and should be top of your list if you’re into shooting action on this budget. I should also add the AF system works well when filming movies as I’ll describe in the next section. The Sony A6300 can internally record 4k movies at up to 30p and 1080 video at up to 120p for slow motion, both key upgrades over the earlier A6000 which offered a maximum resolution and frame rate of 1080 / 60p. As before you have full manual control over exposure, but new to the A6300 are the nine Picture Profiles of the A7s Mark II which include S-Log 2 and S-Log 3 (the latter in S-Gamut3.Cine and S-Gamut3 flavours) for capturing flatter output, ready for grading. The additions of 4k resolution, 1080p slow motion and Picture Profiles (not to mention accompanied by a useful Gamma Display Assist option) make it a considerably more attractive camera for film makers than its predecessor, or indeed most cameras at its price point, especially when you couple them with the confident refocusing of the embedded PDAF system. You can film at any sensitivity from 100 to 25600 ISO – again higher than the 6400 ISO maximum of the A6000 – and the Picture Profiles 7, 8 and 9 for S-Log 2 and 3 operate at a base of 800 ISO. I have several movie samples below filmed with and without Picture Profiles for your own comparison. It’s also possible to set the shutter and aperture manually and if desired lock both and opt for Auto ISO to take care of differences in brightness. Audio can be recorded using the internal stereo microphones or, in an important upgrade over the A6000, with an external microphone connected to the new 3.5mm input. To be fair to rival cameras though, this was a serious omission on the earlier A6000 and a necessary inclusion here on the new model. Sadly Sony didn’t take the opportunity to squeeze in a headphone jack though which could have further differentiated it from the competition. If you choose the XAVC S HD option, you can film 1080p at 24, 30, 60 or 120p for NTSC or 25, 50 or 100p for PAL, all at 50Mbit/s apart from the 120p / 100p modes which are offered at 60 or 100Mbit/s. These 120p / 100p modes allow you to slow the footage down by five or four times on 24p or 25p timelines respectively. Note to support any of the XAVC S modes, you’ll need an SDXC memory card. Here’s a clip I filmed at 1080 / 120p, interpreted to 24fps on an Adobe Premiere Timeline for a five times slow-down. Above: Download the original file (Registered members of Vimeo only). Slow motion compilation filmed with the Sony Alpha A6300 in its 1080 / 120p mode, interpreted to 24p for a five times slow-down in Adobe Premiere Pro CS 6. I used the FE 70-200mm f4 for the wakeboarding clips and the E 16-70mm for the parkour clips, both with continuous AF enabled. It’s possible to switch the camera between NTSC and PAL modes, opening up all frame rate options but doing so involves a reboot and reformatting of the memory card – I believe to conform with AVCHD standards. If you set the camera to a mode that’s not native to its original location – for example setting an American model to PAL or a European model to NTSC – then it’ll remind you of your foreign preference every time you power-up, demanding an OK press to continue. While offering a useful reminder, this can get annoying over time, so I’d prefer if Sony had an option to disable it – after all, the working frame rate is still displayed on-screen so I don’t think many DPs will get caught-out. This reminder is common across all Sony cameras which let you switch regions. When recording 1080 or 4k in 24p the A6300 takes the full width of the sensor and scales it down to the appropriate video resolution; I believe 30p involves a minor crop and I’m confirming for 25p. Crop or otherwise, the A6300 needs to scale the image down using a non-integer value, but Sony puts a positive spin on its 4k / 24p mode, boasting how it exploits the full pixel readout of a 20 Megapixel/ 16:9 frame with no pixel-binning. So how does the output look in practice? Below is a clip I filmed with the A6300 in 4k / 24p, with additional versions in picture Profiles 7 and 8 if you’d like to have a go at grading it. I then filmed the same scene moments later in 1080 / 24p, followed by the earlier A6000 in 1080 / 24p, and finally with the Fujifilm X-Pro 2 in its 1080 / 24p mode too. Below the video you’ll see a table comparing 100% crops taken from each video. Above: Download the original file (Registered members of Vimeo only). Sony Alpha A6300 sample movie: daylight / tripod / 4k UHD / 24p / 100Mbit / 100 ISO. I also have the same scene filmed in 1080 / 24p and in 4k UHD / PP 8 / S-Log 3. Judging from the crops above, I’d say the A6300’s 1080 / 24p output is resolving fractionally greater detail than the A6000, but there’s very little in it. But just look at the 4k crop and the difference is clear – the 4k mode is resolving considerably finer detail. This is particularly apparent in the distant buildings at the top of each crop. I should also add that you can generate great-looking 1080p footage by filming in 4k and down-sampling it in your editor, although doing so will obviously limit you to filming at 24 to 30p rather than the higher frame rates available for 1080. I’ve also included a crop from the X-Pro 2 footage to illustrate Fujifilm has made considerable improvements to its video quality over earlier models, although with the default Provia profile, the contrast is too high. Hopefully this sensor and processor will make it into most future X-series bodies, but it’s still no competition for the A6300 filming in 4k. The comparison above was made in bright daylight at each camera’s lowest sensitivities, but how do they compare as the ISO increases? Here’s a clip I filmed at 800 ISO using the A6300 in 4k / 24p. I filmed the same scene at each sensitivity on the A6300 in 4k / 24p and 1080 / 24p before then repeating it on the older A6000 in 1080 / 24p. I also have links below for S-Log versions of the 4k footage if you’re interested in having a go at grading it. Below the video clip are 100% crops made from each clip to compare their detail and noise levels. Above: Download the original file (Registered members of Vimeo only). Sony Alpha A6300 sample movie: daylight / tripod / 4k UHD / 24p / 100Mbit / 100 ISO. I also have the same scene filmed in 4k S-Log 2, 4k S-Log 3 and in 1080 / 24p. Oh and one for the A6000 in 1080 / 24p too for comparison! In the crops above you’re looking at 100% crops made from the A6000 and A6300 clips, the latter in both 1080p and 4k UHD at 24p. As with the first example, the 1080p output from both the A6000 and A6300 looks pretty similar in terms of resolved detail, although there’s slightly higher contrast by default from the A6000. The A6300 gives you much more chance to make adjustments though both in-camera and afterwards with its Picture Profiles. As before, the 4k footage is capturing considerably higher detail, most obviously seen here on the bottle labels and the lettering on the menu. Look closely though and you’ll see a sprinkling of noise on flat areas, such as the menu, whereas it’s noticeably absent on the 1080 footage alongside. I’d say much of this is down to different approaches to processing and noise reduction, with the 4k footage looking less ‘cooked’. Again I’ve provided clips with and without Picture Profiles if you fancy having a go at applying your own noise reduction. As the sensitivity increases, the 1080p output from both cameras looks similar until around 3200 ISO when the older A6000 reveals greater visible noise, although again this could be down to differences in processing. Meanwhile the 4k output becomes steadily noisier as the ISO increases, but still holds onto much more detail than the 1080 footage. I should also add the noise is fairly well-behaved grain that’s easily reduced in post if desired. The bottom line is whether shooting in bright daylight at low ISOs or in low light at high ISOs, the A6300 simply captures much better-looking footage in 4k than it does in 1080, and down-sampling 4k to 1080 still delivers a superior result than filming in 1080 to start with. Again the only disadvantages in doing so are a higher bit rate that consumes at least twice as much space on your card and a top frame rate of 30p. If you want to film above 30p on the A6300 you’ll need to switch down to 1080, but to be fair, this is the same with almost every other camera on the market. I should also add that I had a chance to make a brief comparison between the A6300 in 4k and the A7r Mark II in its Super 35 / APSC 4k mode, and their quality at high ISOs was similar. Sony claims the A6300 may in fact have a resolution advantage over the A7r II in 24p by over-sampling 20 as oppose to 15 Megapixels to generate the 4k frame. I hope to make a more formal comparison and add it to this review in the future. At this point I’d like to comment on battery life and over-heating, which has been an issue in the past. I fitted a full battery to the A6300 and started filming 4k video in a cool hotel room with the screen folded into the body. To prevent over-heating, Sony fits the A6300 with a limit of just under half an hour per 4k clip, and I managed this, recording 29:51 of footage resulting in a 20.81GB file and leaving 60% of the charge remaining and the camera feeling warm. I immediately started filming a second clip which stopped after just under 20 minutes with the camera now feeling very warm and with 25% battery remaining. A third clip ran for roughly ten minutes before the battery gave up, again with the camera feeling very warm to the touch. So I managed to film an hour’s worth of 4k footage on a single charge across three clips, with no evidence of overheating until I was 50 minutes into the total. I’d say this is a good result, and of course it’s possible to increase airflow by opening the screen from the body. Once I have a chance to try the A6300 again, I’ll see how long I can keep filming with spare batteries on-hand. Moving on, I’d like to discuss autofocus. Like the A6000 before it, the A6300 can deploy its embedded phase-detect AF points to deliver smooth and confident continuous autofocusing while filming, minimizing (or in many cases eliminating) the visible hunting of contrast-based AF alternatives. While the A6300 still doesn’t have a touch-screen to allow you to tell the camera where and when you’d like it to refocus, the various area modes do a fair job at guessing for you – and if you’re filming people, the face detection works very well at tracking them. To put this to the test I fitted the FE 70-200mm and set it to 200mm f4 and filmed a 4k sequence, handheld, of two people walking towards me on the beach. I’m impressed by the performance of the A6300’s AF system in the clip above, where it smoothly refocused on the approaching subjects without ever visibly hunting back and forth, and as before it’s also possible to adjust not just the speed of refocusing (useful when pulling focus from one subject to another), but also the response time, preventing the camera from refocusing if something briefly interrupts the view – I should have had that enabled for the clip above! The Sony AF system is so good I just wish they gave us more control over it, making it easier to move AF areas while filming without pressing lots of buttons or choosing an AF-S mode to only refocus when we tell it. As it stands, the A6300 is really about either trusting the AF system, or switching to manual and doing it yourself; at least there’s focus peaking to help there. One final note: I’ve heard complaints about rolling shutter artefacts on the A6300. I didn’t notice any in my handheld clips – which you’ll see below – but equally I was careful to perform slow and smooth movements. I plan on doing more tests with this, but if you shoot handheld with a lot of movement and shaking, be warned there have been issues reported by others. When discussing this with my film-making friend Stu Maschwitz, he also made a very good point that it’s easy to whip small and light cameras around which often makes them appear more susceptible to rolling shutter artefacts than larger models. Either way you’ve been warned, so without further ado, here’s a selection of my own clips filmed under a variety of conditions, and several are available in 1080p and or S-Log versions. Above: Download the original file (Registered members of Vimeo only). Sony Alpha A6300 sample movie: 4k UHD / 30p / 100Mbit / 6400 ISO / PP Off. I also have the same scene filmed in 4k UHD / PP 8 / S-Log 3. Above: Download the original file (Registered members of Vimeo only). Sony Alpha A6300 sample movie: 4k UHD / 30p / 100Mbit / 12800 ISO / PP Off. I also have the same scene filmed in 4k 6400 ISO and 4k 25600 ISO. The Sony A6300 has built-in Wifi with NFC to aid negotiation with compatible devices. Wifi on the A6300 allows you to wirelessly browse and transfer JPEG images onto an iOS or Android smartphone using a free app, and also remote control the camera with your phone or tablet. The A6300 can additionally download apps directly to extend its capabilities, a feature first introduced on the NEX-6, and a capability that remains unique to Sony (if we’re not counting Android-powered cameras from the likes of Samsung or Panasonic). I’ll start with transferring images from the A6300 to a smartphone and for my tests I used my Samsung Galaxy S6, onto which I’d previously installed Sony’s free PlayMemories app. If you have an NFC-equipped device, such as my GS6, the entire process is incredibly simple: just choose the image you want to send in playback on the camera, then hold it against your phone. The NFC then instructs the camera and phone to connect (automatically taking care of network names and passwords), before then transferring the image and finally disconnecting. It all happens without a single button press and is the best implementation I’ve seen for copying images from camera to phone. If you don’t have NFC, or for some reason it doesn’t work, you’ll need to connect to the A6300’s Wifi network manually. First go to the Wireless section and choose the option to Send to Smartphone. This then gives you the choice of either selecting the desired image on the camera, or browsing the camera’s memory using your handset. Selecting either configures the A6300 as a Wifi access point which your phone needs to connect to. Next you’ll need to fire-up the PlayMemories app on your phone and connect to the camera. Next I’ll cover remote control which requires the Smart Remote app to be installed on the camera – as luck would have it, Sony embeds this into the A6300 to get you started in the World of apps, no doubt in an attempt to get you comfortable with the idea and possibly purchase some more in the future – although there is a catch I’ll mention in a moment. Once again, Sony makes things really easy for owners of NFC phones. With the camera powered-up and ready to shoot, simply hold your phone against the NFC logo on the side of the body and the A6300 will automatically fire-up the Smart Remote app, connect itself to your phone (again taking care of Wifi network names and passwords), then start the PlayMemories app. So without a single button press, you’ll find your self ready to remote-control the camera with your phone. Brilliant! If you don’t have a phone with NFC, you’ll need to first select the Smart Remote from the App menu on the A6300. This sets the camera up as an access point for the PlayMemories app on your phone to connect to. Once you’re remote-controlling your camera, you’ll be able to see what it sees, adjust the exposure compensation and take a photo when desired. But out-of-the-box you won’t be able to change the aperture, shutter speed or ISO, nor reposition the AF area. There is however a solution: an update to the in-camera Smart Remote app unlocks full exposure control along with the chance to tap anywhere on your phone’s screen to move the AF area – some consolation for the absence of a touch-screen on the camera itself. To update the app, you’ll need to connect the A6300 directly to the internet, log into the PlayMemories service (using an account you’ve previously set up on a computer), choose Smart Remote in the camera’s Application menu, then select the update option. Alternatively you can download an app via a browser on a laptop or desktop, then connect the A6300 to transfer it. A few seconds later you’ll have the latest version of Smart Remote sporting a wealth of manual control. It’s great the camera offers this, but a shame you need to go looking for it, as I’m sure many owners won’t jump through the required hoops. Indeed I know they won’t. I’ve lost count of the amount of times I’ve met people with Sony cameras who wonder why mine supports remote exposure control when there’s doesn’t. I suspect the approach is to encourage more signups, but I fear it backfires more often than it converts, leaving many owners with a camera not offering its full potential. Even if there is an update available, Sony really ought to ship its cameras with a more up-to-date version of Smart Remote than the basic one right now. And while I’ve got my moaning hat on, could we please reposition the AF area by touch using the phone’s screen while recording movies? It works for stills and having it for video too would in some way make-up for the lack of a touchscreen on the camera itself. If you do get round to updating the Smart Remote app, you’ll notice a selection of other apps you can download to extend the capabilities of the camera, some free, some costing up to $9.99. Arguably the most powerful app is Timelapse which has gradually become more sophisticated over several updates. It now works alongside a new Angle Shift Add-On ($4.99) that lets you perform pans, tilts and zooms within a timelapse video, all generated in-camera. There’s also a new Sky HDR app which captures and combines two different exposures to simulate a graduated ND filter and darken skies. There’s also apps to simulate the effect of long exposures by combining multiple frames and ones designed to better capture light or star trails. It’s all good fun, but the question is whether most or even all of these should simply be part of the standard camera operating system. After all most rivals offer built-in timelapse facilities, Panasonic offers stop motion and Olympus continues to raise the bar for cunning long exposure options. As you browse the Apps and experiment with Smart Remote, you’ll also notice a continued lack of GPS logging options. Most camera apps now offer an option to record a GPS log that’s then synced with your photos after a day’s shooting. To me that makes the most sense, but Sony has instead gone for an approach which only offers to embed a position when you take a photo using the Smart Remote. But wait, the location isn’t embedded in the file recorded by the camera. Instead it’s only embedded in the image copied onto your phone, which may not be at the full resolution. So unless you’ve ticked ‘Original’ as the ‘Size of Review Image’ setting in the Smartphone app, you could find yourself with a high-res image in the camera without a location and the same shot on your phone with the location, but at a lower resolution. Configure all the options carefully and your phone can store an original resolution file with the location embedded, which you could then copy back to a computer but it’s overly complicated. Sony, please just offer a GPS logging option in the Smart Remote app that syncs the location on a bunch of images in the camera. Now it’s time to check out my sample images, quality comparison page or skip back to my verdict!